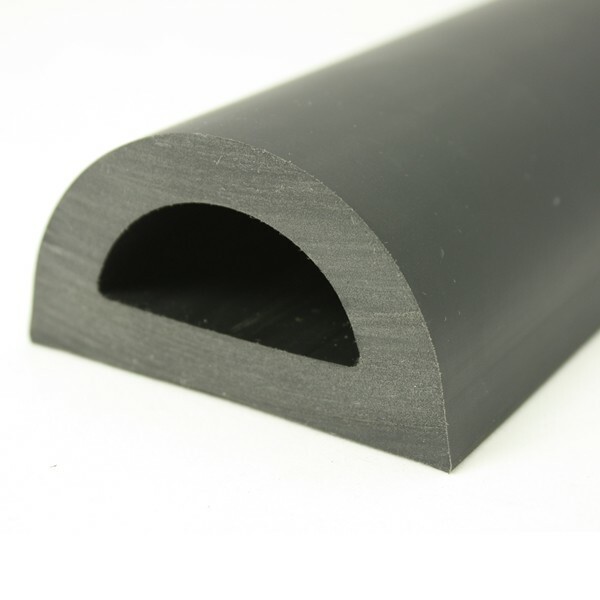 76mm base flexible PVC D Fender designed to provide protection to boats and other marine areas. 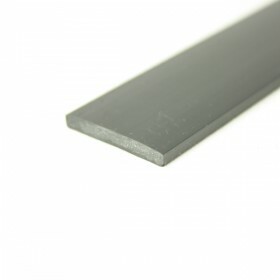 Im looking to purchase a length of product no PVC 72 or PVC 898. 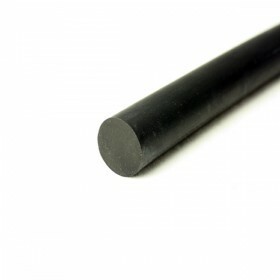 Can you tell me if its possible to purchase a 34 metre length as opposed to multiple smaller lengths? Our boat is 12 meters and would prefer to purchase a continuous length. Thank you for your question. Unfortunately, due to wastage, we are unable to provide a custom length profile. We recommend butting the shorter lengths against each other with some marine adhesive (if preferred). I presume the 19 mm cord is for plugging fixings , is that so ? You are correct, the cord is cut to the required length to provide a plug to cover the fixings. Hi, can you use self tapping screws on aluminium for fitting? Up to what size boat, tonnage is the 76mm rub rail effective? How does it compare to the 80mm? I run a jet 11m jet boat on the Thames commercially. We dock against metal piers. Which would be best suited for my boat, without overkill? PVR 72 (76mm Base) has walls of 11mm thick and a standoff height of 40mm, compared to PVR 63 ( 80mm base) which has walls of 15mm and a standoff height of 63mm. The PVR 72 will compress at a lower impact due to the thinner walls and is more suitable for a lighter boat. The PVR 63 is for heavier boats operating in a more commercial environment. 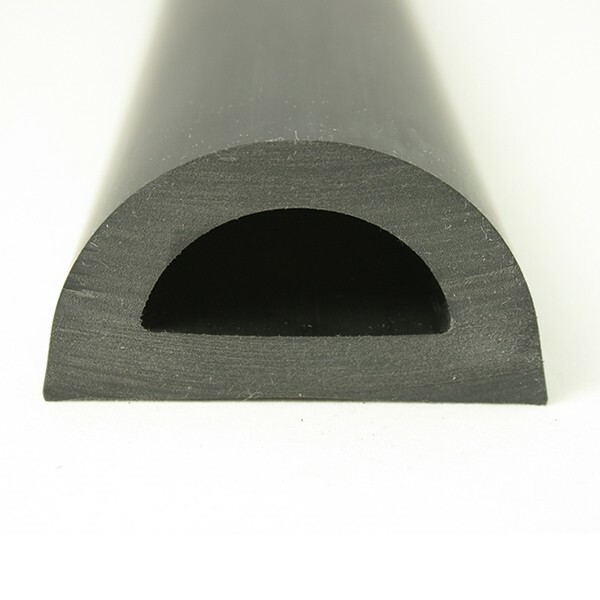 A rigid PVC strip or other backing strip should be fitted inside the D-Section as per our D-Section fitting instructions. Fixings need to be suitable for the application and substrate. 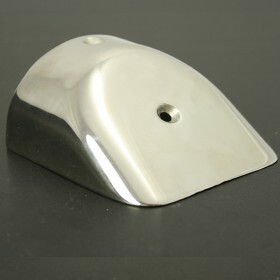 As you have an aluminium boat you will need to consider the electrolytic action between the aluminium whole and the stainless fastenings. Using a product like Duralac on the stainless fasteners stops this. As this is a commercial application I would bolt where ever access is possible. Please do not hesitate to contact us with any further questions you may have. 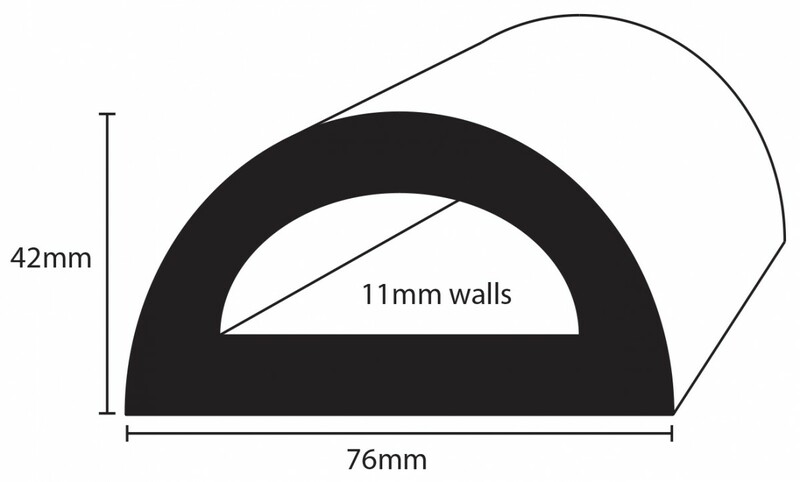 PVR 72 can be fitted to a 45mm radius but nominal flattening will occur to the curved face of the D profile. A radius of 130mm will ensure that no flattening occurs. Should you have any further questions then please do not hesitate to contact us.